Holmes County is a county located in the state of Ohio, United States. As of 2000, the population was 38,943. 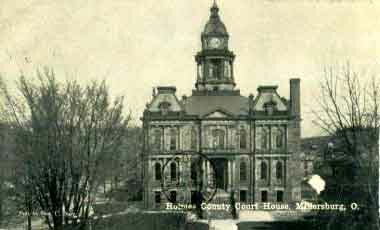 Its county seat is Millersburg and is named for Andrew Holmes, an officer killed in the War of 1812. Holmes County is home to the world's largest concentration of Amish settlements. The surface of Holmes County is badly broken. The Kilbuck River passes from north to south through the county and has broad fertile flood grounds which form a wealthy farming section. The territory comprising of Homes county was formerly included by the counties of Wayne, Coshocton and Tuscarawas.